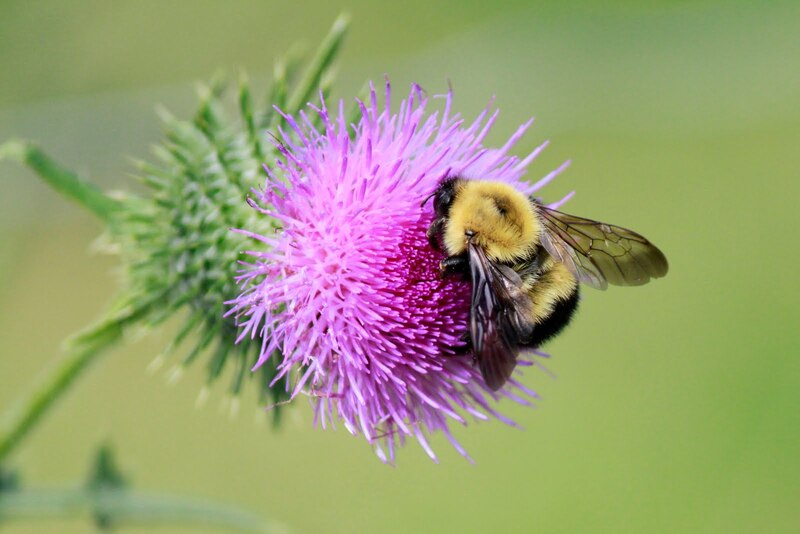 A Bumble Bee enjoys the nectar of a Thistle flower. Yesterday morning Rob and I drove up to the Carden Plain, an important area for our migratory birds. We'd never been up there this late in the year before, and just wanted to see for ourselves what it was like. The first thing we noticed was how quiet it was. Birds mainly sing to attract mates in the spring, and well, the nesting season for most of the birds is all over for another year and many of our migratory birds have raised their families and are getting ready to return south for the winter. 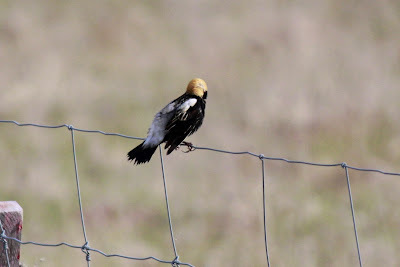 This fact was most apparent when we saw a Bobolink in his "winter plumage" for the first time. Compare the images below and see for yourself. August 6th, 2011. A male Bobolink already in his winter plumage! 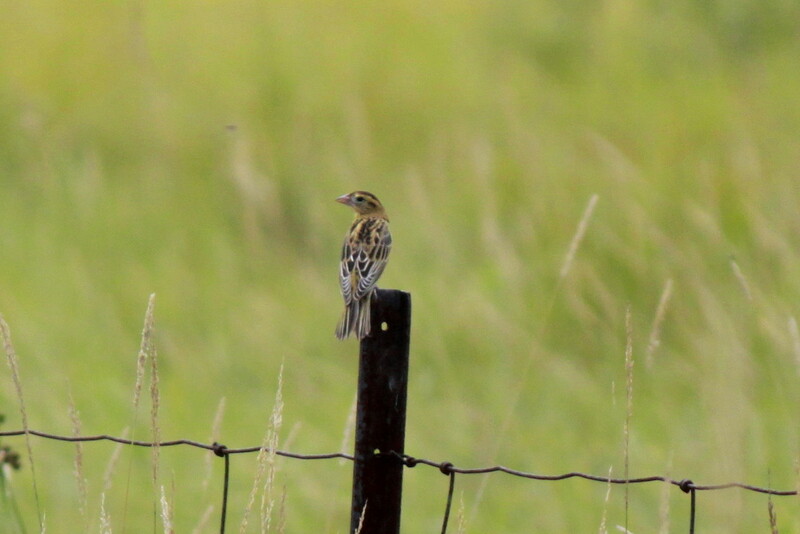 This picture of the male Bobolink was taken back on May 12th, he's in full breeding colors to attract a mate! Quite the difference in the seasonal plumage. 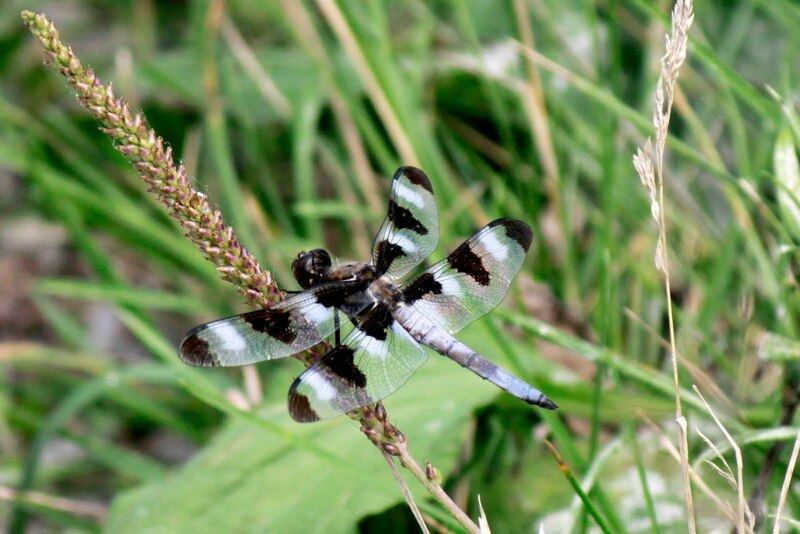 All though we didn't see nearly has many birds as we do in the Spring, we still had a great day and enjoyed being in the natural surroundings. A Twelve-spotted Skimmer, we saw hundreds of them! Lots of Monarchs were busy laying their eggs on the only plant they will, Milkweed. I got to show off my cow calling skills once again up there. I'm really good at it! That's me behind the wheel of the truck for the first time yesterday, honk-honk!! Sounds like a fun day. I best it was nice to get away from the city for a while.